Posted by shawnpci in Fire Protection, Fire Systems. Protex Central, Inc. marks the start of its 47th year in business today, February 1, 2013. Through its first 46 years, Protex Central, as a 2012 SAMMY Award Finalist for Installer of the Year, has become a nationally recognized systems integrator in the fire and security market space. Starting with only himself and a helper, Dennis Mullen, Chairman of the Board, has provided the vision and leadership of this dynamic and reliable enterprise. Operating from three fully-staffed office locations, Protex Central provides a variety of installation, testing and maintenance services across numerous vertical markets. With second generation firmly in place, Protex Central’s envisioned future is to become the premier systems integrator in its marketplace by continuing to provide premium-level customer experiences. To learn more about Protex Central’s envisioned future click here. Posted by shawnpci in Fire Protection, Fire Systems, Iowa Alarm Association, Security Systems, Uncategorized. The Iowa State Fire Marshal’s office has announced that a Fire Extinguishing System Contractors and Alarm Systems Advisory Board meeting is scheduled for Wednesday, February 20, 2013 beginning at 9:00 a.m. in the ICN Room #122 at the Public Safety Building – 215 East 7th Street in Des Moines. For information about the Board or to contact the Iowa State Fire Marshal’s Office, call 515-725-6156 or visit the Iowa State Fire Marshal’s Web Site. Posted by shawnpci in Fire Protection, Fire Systems, Iowa Alarm Association, Security Systems. The Iowa Alarm Association’s next meeting will take place on November 17, 2011 at Smokey D’s BBQ Restaurant just north of I-80/35 off of 2nd Ave. in Des Moines beginning at 6:00 p.m. Persons and companies involved with security, life safety and low-voltage systems are encouraged and welcome to attend. If possible, please RSVP to Ron Heldt at ADT Security Systems. The Iowa Alarm Association’s next meeting will take place on September 22, 2011 at Smokey D’s BBQ Restaurant in just north of I-80/35 off of 2nd Ave. in Des Moines beginning at 6:00 p.m.
Captain Dave Murrilow of the Des Moines Police Department will provide a special presentation. Posted by shawnpci in Fire Protection, Fire Systems, Security Systems. 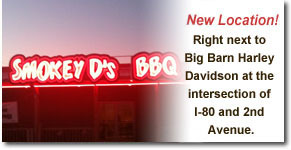 The Iowa Alarm Association’s next meeting will take place on May 19, 2011 at Smokey D’s BBQ Restaurant in just north of I-80/35 off of 2nd Ave. in Des Moines beginning at 6:00 p.m. 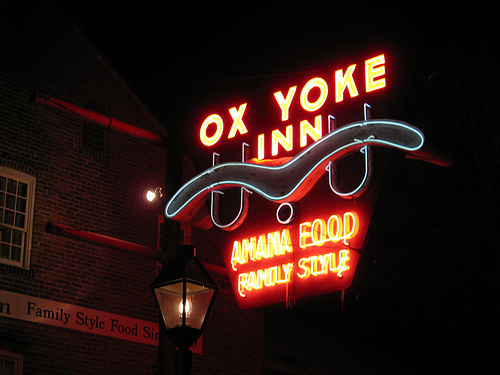 The regular monthly meeting of the Iowa Alarm Association is set for Thursday, April 21st beginning at 6:00 p.m. at the Ox Yoke Inn off of I-80 at Exit 151 for the Amana colonies. Please contact Ron Heldt if you plan to attend. Posted by shawnpci in Security Systems. The March 17 meeting of the Iowa Alarm Association will include a tour of the state-of-the-art police headquarters in Ankeny, Iowa. This isn’t just a tour, it’s an experience of a modern high tech police facility that incorporates functionality as well as vision. The building is a Frank Lloyd Wright design which incorporates natural materials and sunlight to enhance the working environment. In fact, several psychological studies were used and incorporated into the design of the building including interrogation rooms, stairwells and employee break rooms. The jail is a “hands-free” environment that minimizes prisoner contact while enhancing safety for prisoner and employee alike. The station hosts its own mini-lab, evidence storage, gun range, training room, fitness room and padded defense strategies room. The building has 69 cameras and a variety of areas with motion activated audio recording. The building incorporated a 20 year growth in both personnel and technology which was most challenging. The building is 76,000 and cost $15.2 million to construct. The residents of Ankeny voted on the bonding in May 2006 and with the highest approval on a bond in the State of Iowa. Construction began with an 82% approval at the polls. Members will also hear a presentation by Gary Kuty of Kuty & Associates on “Hire Slow – Fire Fast” Growing your Sales Team. Members should contact IAA President, Ron Heldt, for meeting details. Protex Central, Inc. marks the start of its 45th year in business on February 1, 2011. Through its first 44 years, Protex Central has become a recognized systems integrator in the midwest’s fire and security marketplace. Starting with only himself and a helper, Dennis Mullen has provided the vision and leadership of this dynamic and reliable enterprise. Operating from three fully-staffed office locations, Protex Central provides a variety of installation, testing and maintenance services across numerous vertical markets. The Iowa Alarm Association’s first meeting of the year will take place on January 20, 2011 at Smokey D’s BBQ Restaurant in Des Moines beginning at 6:00 p.m. Featured speaker for the meeting will be Jonathan Lund, Fire Protection Engineer with the City of Des Moines Fire Prevention Bureau. He will be discussing fire alarm plan review and submittal procedures. Lund has been in the position since joining the department in 2008. He is a graduate in fire protection from Oklahoma State University. He is also president of Lund Fire Protection.